David Polansky | Performance Methods Inc.
David Polansky is an experienced sales management executive. David most recently was a Managing Director and Dean of the Business Development and Client Service Academy at BNY Mellon University (BKU). He led the Academy in the creation of course curriculum designed to enhance business development skills that improved the effectiveness of client facing staff. 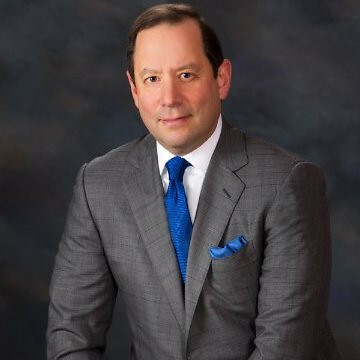 Before heading up the Academy, David served as the Head of National Sales for BNY Mellon’s Corporate Trust Group, including Corporate and Insurance, Financial Institutions, and Public Not for Profit. David has held a wide variety of leadership positions, including working as a consultant/trainer to large institutions, where he helped employees with consultative selling and sales management skills. He was formerly a Metro New York City Executive at US Trust in New York. In this role, David was responsible for helping to build the Firm’s high net worth business. He also was a Managing Director and Head of the JP Morgan (JPM) Private Bank’s effort to develop and target owners and key executives of middle market businesses in New York City and Westchester County, New York. Before this role, David was the Head of the Multi-Manager Investment Advisory Group at the JPM Private Bank. In this capacity, he was charged with the merging of the three heritage firms’ (JPM, Chase, H&Q) “open architecture” teams into a cohesive operating unit. He was also responsible for the oversight and management of all the marketing/client advisory, investment, and infrastructure functions. Before joining JPM, David worked in Morgan Stanley Dean Witter’s Private Wealth Management Group and Morgan Stanley Asset Management. David graduated from the University of Connecticut with a Bachelor of Science degree majoring in Agricultural Engineering. He received his MBA in Finance from The Pennsylvania State University. David serves on The Pennsylvania State University’s Smeal College of Business Board of Visitors. He was also Chairman of the Smeal MBA Alumni Advisory Board. He was an advisor to Phi Gamma Nu at Penn State, a national business fraternity and is an active mentor to students and professional colleagues. An avid fly fisherman, David resides in New Jersey with his wife, daughter, son and their 2 dogs.